Do you know a deserving winner? Service users, carers and professionals can nominate a member of staff or team who has made a real difference to their life. We ask nominations to highlight examples of how the nominee has demonstrated our values. Please complete the nomination form online or alternatively download the form on the right which can be posted to Communications Department, Camden and Islington NHS Foundation Trust, 4th Floor, East Wing, St Pancras Hospital, 4 St Pancras Way, London NW1 0PE. We are looking for nominations for each month. 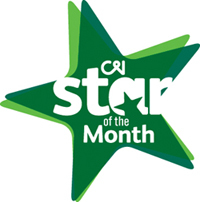 All of the monthly winners will become the nominees for the C&I Star of the Year, with the winner chosen at our annual awards ceremony. The deadline for each month is the 15th.